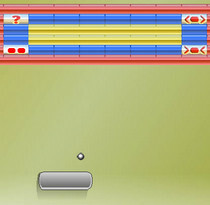 Play Parking Lot 1 Game Online, which is a parking game at Friv 4 School. Like other Parking games in this game, your aim is to park the car. But park the car into the targeted place and avoid hitting other cars standing there. There are some obstacles as well. Avoid them too and do it as fast as possible. Yes! you need to park the car before the time runs out. If you are free and want to play more car parking games, try Parking Fury. Play in mute mode. Game Controls: You will play this game with Arrow Keys to control the Car.